Bunch O Balloons Is A Water Balloon GAME CHANGER! 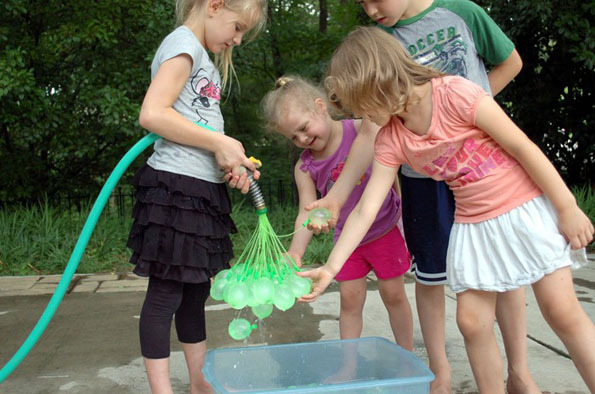 How many hours have you spent standing over a garden hose filling up water balloons one by one? Chances are, if you were ever a child at any point, the answer is probably like at least a few, right? Now I’m not so sure. STILL! 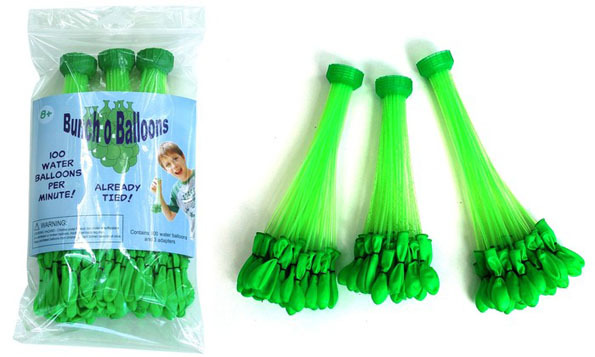 Bunch O Balloons is an invention by dad and scientist Josh Malone. It’s a water balloon game changer! You can fill up 100 water balloons in just UH minute. Pretty genius! It’s currently in the fundraising process over at Kickstarter, so go contribute if you know what’s good for you. Think of all the time you’ll save. Time you could use doing other things like, I dunno, watching tv or taking a nap. Amidoingitrite?